Kiev is the capital and largest city of Ukraine, the largest country on the European continent. It boasts a population of approximately 2.8 million people. To see where Kiev is in relation to the rest of the world, head to our interactive map and zoom out. 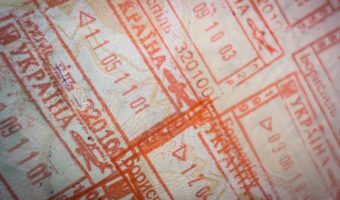 Relaxed immigration laws mean that visitors from the European Union, the United States, Canada and other developed countries no longer need a visa to enter Ukraine. Ukrainian is the official language of Ukraine, though Russian is more commonly used in Kiev. Staff at most hotels and city centre restaurants can speak English, but elsewhere English-speakers are likely to struggle to have a meaningful conversation. The official currency is the hyrvnia (UAH). There are currency exchanges on virtually every street in the city where US dollars, euros, rubbles, and pounds can easily be changed. ATMs are very common. Until quite recently there were no international hotels in Kiev. The situation changed in 2005 when Radisson established a presence in the city. The Kiev Hyatt opened in 2007, followed by the InterContinental in 2009. Private and serviced apartments are also popular places to stay. 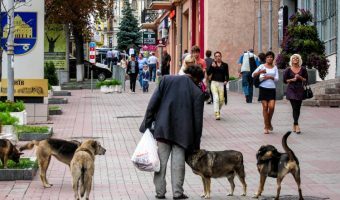 Kiev has a humid continental climate. The weather is hot in the summer and cold in the winter. Spring and autumn are brief and mild. 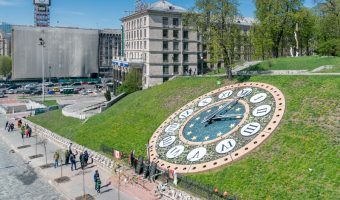 The time zone in Kiev and the rest of Ukraine is Eastern European Time. 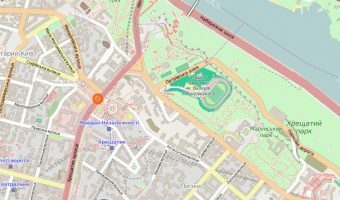 Interactive map of Kiev showing hotels, tourist attractions, bars and clubs, restaurants, train stations, airports, and more.